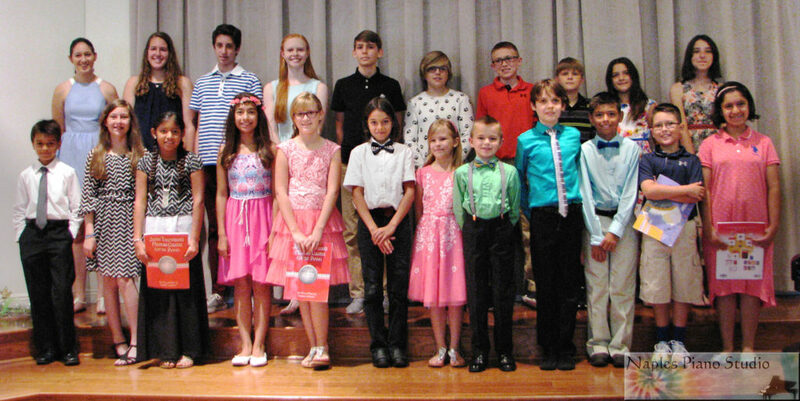 2016 Recital Gallery – Naples Piano Studio "Naples Piano Studio - Piano Lessons - Serving Naples Florida"
The 2016 recital was held on Saturday May 21st. 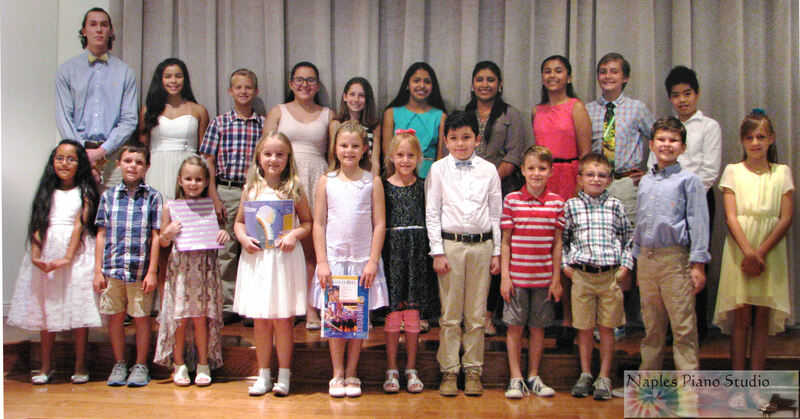 There were close to 60 children from the Naples/Collier County area who gave a presentation of their work. It turned out to be a marvelous event, as everyone was so extremely well prepared. All the hard work was well worth it, as each student came away from their performances with such a positive feeling of accomplishment. Our goal as teachers is to foster within our students a sense of self confidence, so that they may play a strong and polished performance. This skill will have enormous value that goes beyond piano, and they will carry it with them through out their lives. The teachers would like to thank all the parents for allowing us the wonderful opportunity to teach your children! 1/2 hour, 45 minute and 1 hour lessons. All lesson materials readily available on site. Studios equipped with quality instruments. By appointment: Please call for current lesson time availability. In order to meet the student’s needs, Naples Piano Studio carries a line of sheet music, including lesson materials by Faber, Alfred, Bastien, Schaum, and others. There are also interesting popular titles as well as classic favorites. Designed to motivate those who study with us. Many of the mainstream classic masterpiece repertoire selections are also available in house, or can be obtained through special order. Copyright © 2019 Naples Piano Studio All Rights Reserved.